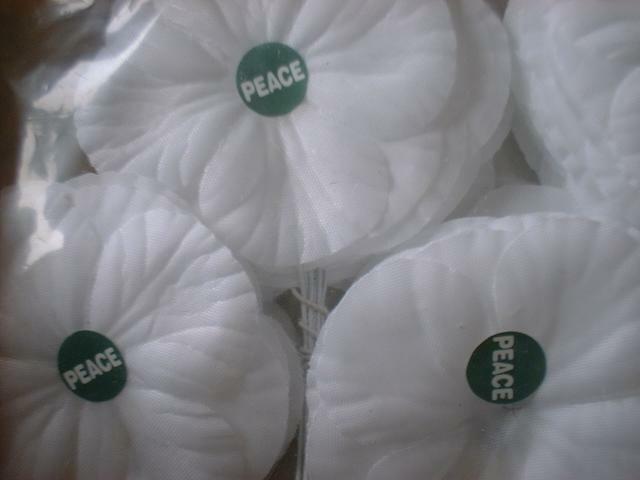 White poppies are now at Toronto Meeting House, and will also be at Yonge St Meeting (Newmarket) from next week. 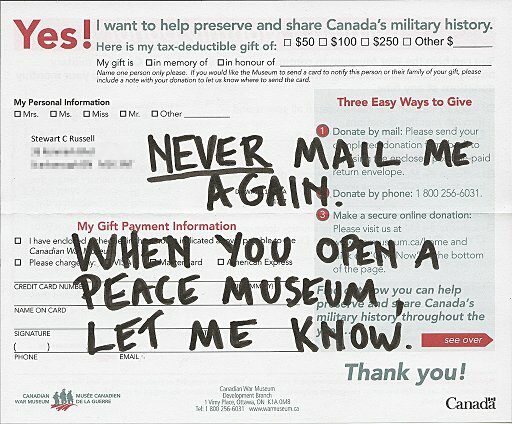 Yesterday Toronto Monthly Meeting approved my request to have white poppies at the meeting house this year. Someone has scrawled – in chalk, so it’ll wash off – “End War”, “Kyoto Not War”, “Smart Kids or smart bombs”, “Bring our troops home” and “Punks 4 Peace” all over the court house at 361 University. Sentiments I approve of – and it gives work to Guardsman Surface Restorations.